Grab a pen, try to draw a silly picture of a brain, hoping that my own look better, but it's all just bits of paper and I am getting nowhere. This is just a very weak expression of how I felt that wooden windy wednesday, windy wednesday, windy wednesday. I wanna do a masterpiece today. Paint pictures of the moments passed away. Put colours on the word I like to say. On the brush there's a tiny yellow colour remain, but I ain't gonna give up on this now. I'll paint a sun from floor to ceiling, gonna make sure that it's blinding. This is just a very weak expression of how I felt that wooden wendy wednesday, windy wednesday, windy wednesday. 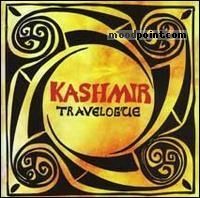 if you want to see other song lyrics from "Travelogue" album, click "Kashmir Singer" and search album songs from the artist page. If you know some new information about yellow, or other song from our site, that isn’t already on song page, please let us know, Any refinement, news, or comment is appreciated. If information about yellow, or any song from moodpoint directory is wrong, please contact us and write where the incorrect data should be replaced by correct data. Use "Find Lyrics" box on our site, try to use different artist or (and) song title(ex: yellow) word forms.